The Congregational Church Choir provides anthems and music for our 10:00 service, as well as services during Holy Week and Christmas Eve. Anyone middle school age and older who enjoys singing is welcome to join us at any time. The choir rehearses on Thursdays, 7:00 to 8:00 pm in the Music Room. The choir is active September through May. During the summer months special music is provided by local musicians. Our music director and organist is Suzanne Purtee. The Music Committee consists of eight church members who meet monthly. 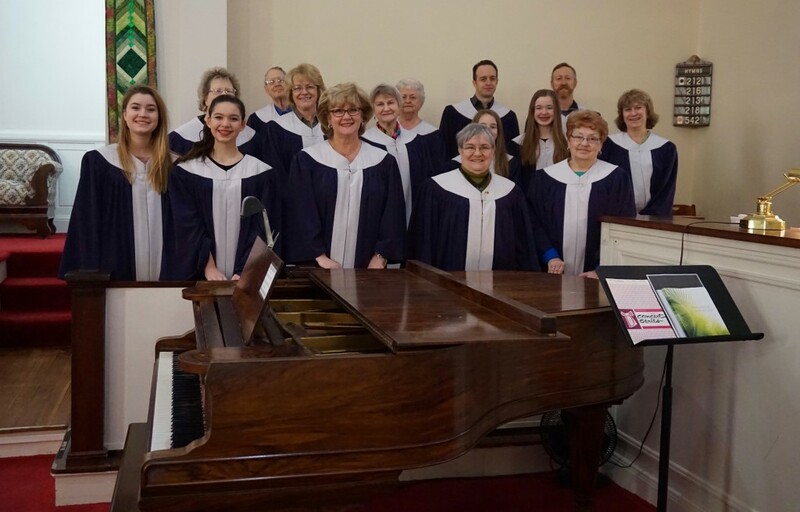 This Committee works with the Pastor and the Worship Committee to provide inspirational choral and instrumental music for the worship services and outreach of the church. A qualified Organist and Choir Director is hired by the Music Committee. Our present Organist/Choir Director, Suzanne Purtee, works with people of all ages to provide choral and instrumental music.